A group of Asian lenders have agreed to lend US$1.87bn to the Nghi Son 2 coal-fired power plant, despite claims that it will generate “twice as much” CO2 per every unit of power generated as the average generating plant in Vietnam. The Japan Bank for International Co-operation (JBIC) led the lending, contributing US$560mn from its own book. The remaining funds came from a syndicate of lenders, namely the Export-Import Bank of Korea (Kexim), SMBC, MUFG, Mizuho, Shinsei Bank, OCBC, DBS and Malayan Banking Berhad. 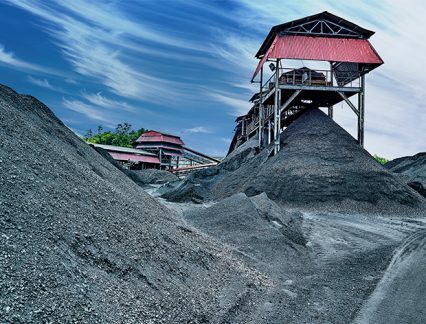 The borrower, Nghi Son 2 Power, will use the funds to build, own and operate a coal-fired power plant with an installed capacity of 1,200MW (two units of 600MW each) in Nghi Son district, Thanh Hóa province. The electricity generated from this plant will be sold to Vietnam Electricity, a state-owned power utility in Vietnam, for 25 years. As the project financing reached protracted closure, it was notable that Standard Chartered was absent from the final list of lenders. The bank had been lobbied by environmental groups to withdraw from the project, amid allegations that it was in breach of its own climate policy and of the Equator Principles. The environmental impact of the project is forecast to be stark. Research from Greenpeace and Market Forces shows that “this project would generate two times as much CO2 for every unit of power generated by the average power plant in Vietnam”. “Expansion of coal-fired power generation in Vietnam is a major threat to public health: air pollution from coal-fired power plants was already responsible for an estimated 4,300 premature deaths in 2011, with the health toll projected to increase three-fold if Nghi Son 2 and other planned projects go ahead,” Lauri Myllyvirta, coal and air pollution expert at Greenpeace, has previously written. Most of the banks on the ticket have not responded to request for comment. Those that did – the two Singaporean banks, DBS and OCBC – have refused to comment directly on the project at hand, instead promoting a gradual transition away from coal power. “It would be foolhardy to assume that the transition can happen overnight. According to the International Energy Agency, in Asean, 65 million people remain without access to electricity today. While the region has made efforts in adopting low-carbon energy, by 2040, coal will still account for 40% of the generation mix to support the region’s economic and population growth,” a DBS spokesperson tells GTR, in an emailed response. It is worth noting that neither of the Singaporean banks have signed up to the Equator Principles, an opt-in group that provides guidance for financiers on environmental issues. MUFG, SMBC and Mizuho are all members of this alliance, however. In March, a report tracking 36 of the world’s biggest banks found that in 2017, they poured US$115bn into extreme fossil fuel projects, an increase in 11% on 2016. While in North America, the majority of this funding was to tar sands projects, Southeast Asia is now regarded as “the final frontier for the coal industry”.